If you wanna just have something to eat, this is your place. 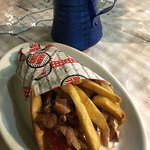 Gyros, 2,50€ and the best. No sea view, nothing special. Just sit down and enjoy your dinner! 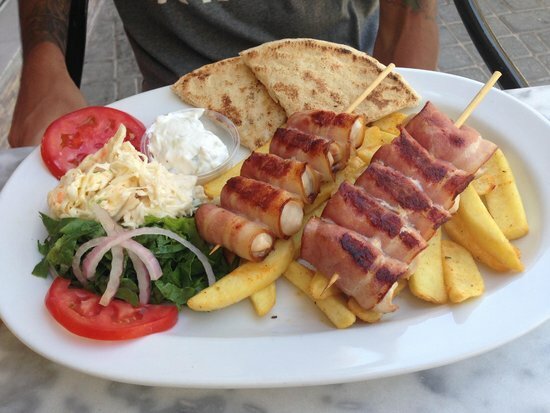 Fresh and tasty pita gyros, we prefer chicken gyros, we recomended! 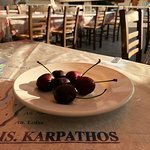 It's a best sreet food in Greece. Good location. 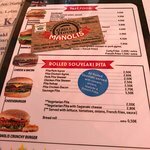 We have visited Manolis 3times during our vacation. 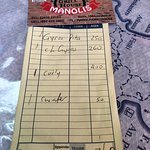 Manolis Grill never lets you down. 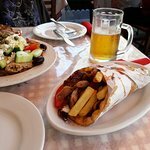 The best pita gyros in town and the cheece croquettes are amazing too! The famous cat is still there! 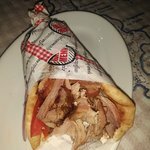 This typical place offers a lot of different meat dishes like pita gyros and much more, very low prices. 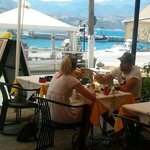 The place has tables outside and it's near the Harbour, in the center of pigadia. Perfect for families too. Perfect lunch at this nice family restaurant. 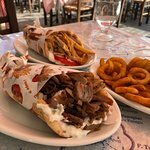 We had gyros and greek salad, staff were really friendly and gave some turist advice. Would love to visit again! 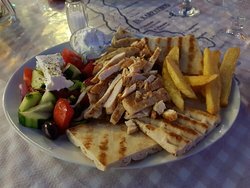 I've had Greek salad and gyros pita - prices were really low and service was fast and decent. 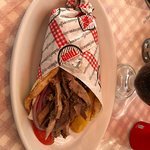 I've had better gyros but the affordable prices are the reason I recommend this restaurant. 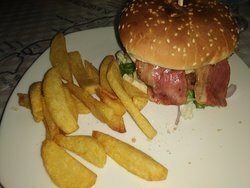 Really good fastfood place and worth of money. 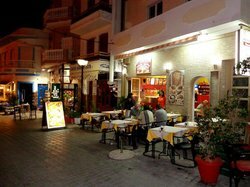 Staff friendly with warm atmosphere. Easy ro recommend togo. 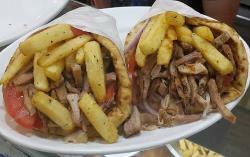 Take gyros and enjoy. 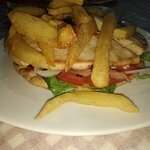 Very nice place, the food was ready fast, the staff were very nice and welcoming. The view from the restaurant is of the port. 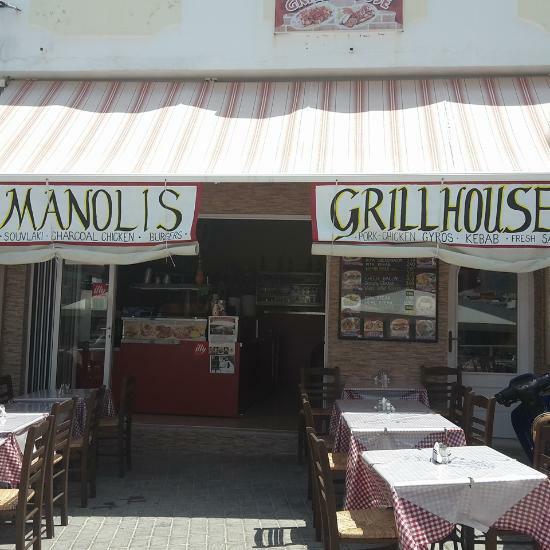 Get quick answers from Manolis Grill House staff and past visitors.